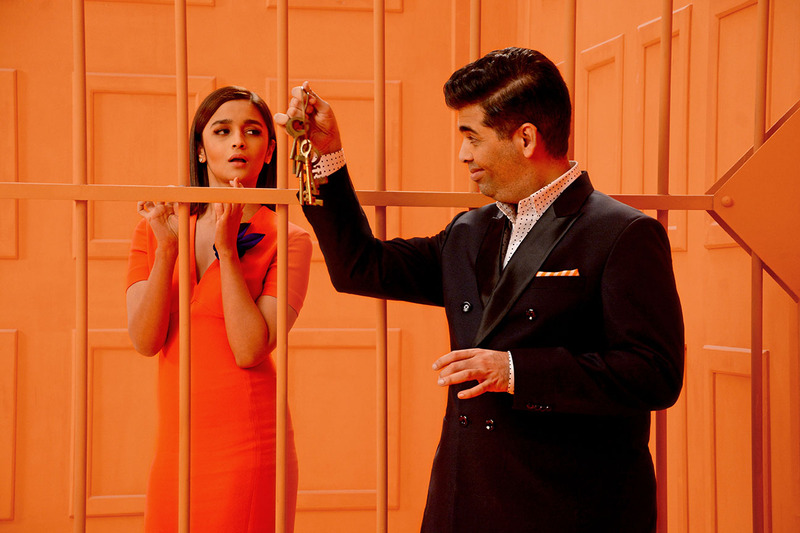 This morning while flipping shows, we happened to check out the teaser of Colors Infinity starring Karan Johar and his favourite apprentice Alia Bhatt. Besides the overdose of orange (which was obviously their take on Orange Is The New Black), we’re quite kicked about being able to watch our favourite international shows without having to stream or frantically borrow. 1. Colors Infinity will air a host of shows from Warner Bros, BBC Production, NBC Universal, Lionsgate, 21st Century Fox, Sony Pictures, Endemol Shine Group, MGM and other independent content producers. 2. Following a Monday to Sunday schedule, it will showcase three shows back to back at primetime. Which means the regular office goer can conveniently OD on their favourite series from 8pm to 12pm. 3. For those wondering how sustainable this new venture will be, Colors has signed multi-year deals with various international studios and is currently holding onto 2000 hours of content. Curated by Karan and Alia, you can potentially expect good content and an interesting mix. “It speaks my language, has my kind of shows and understands how a new generation of viewers wants it all… and wants it now,” responds Alia who is as tangy as the dress she is sporting. Flash: This happens to be the most satisfying adaptation of the winged-helmet superhero till date. The action is fast-paced and won’t leave you with a yawn moment. Forever: Dr. Henry Morgan is your new Edward Cullen, who has been alive for 200 years. Join the immortal man on his quest to figuring out his curse. The show is feather-light and Ioan Gruffudd is easy to like. Fargo: Touted to be one of the year’s best dramas, one can expect dark comedy. You will enjoy it best if you’re the kind who feasts on evil intelligence. Orange Is The New Black: The well-rounded comedy is a must-watch, simply for its sad twists and turns and the sense of humour that accompanies it. The plot revolves around Piper Chapman who is forced to trade suits for prison orange, and the many characters she chances upon. My Kitchen Rules: The alter ago to Masterchef, watch it if you’re game for cat fights, explicit eye rolls and drama in the kitchen. Yes, it also includes food. Read about Alia Bhatt’s take on Bollywood, travel, and on being the face of young India. And if Karan’s your kind of guy, meet the entertainment genius here. Colors Infinity launches on July 31, 2015.